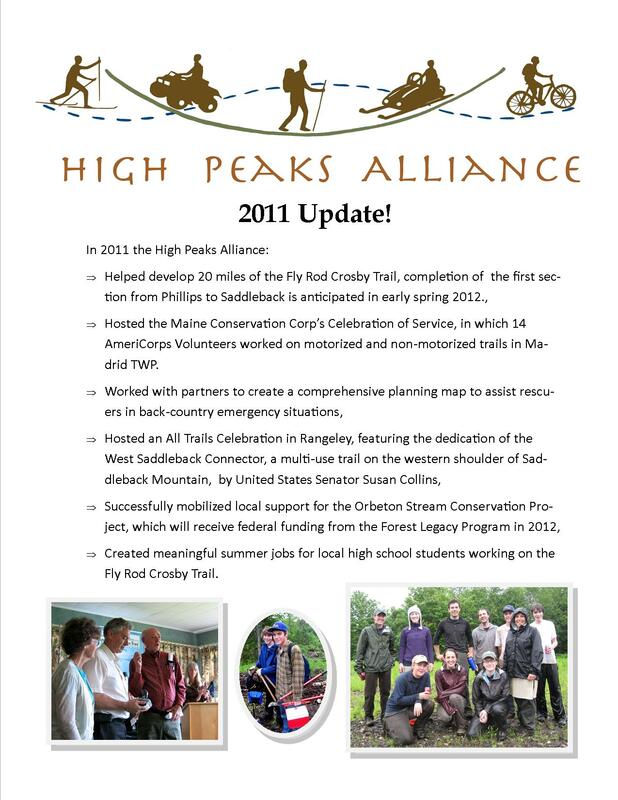 High Peaks Alliance Accomplishes Much in 2011. Thank you to our supporters and volunteers for making this possible. This entry was posted in Back country trails connecting communities, HPA Planning Map Project, multiple use trails, nature based tourism and tagged nature tourism in the High Peaks Region of Maine. Bookmark the permalink. ← US Forest Service Announced that Franklin County Maine is getting $8 million for Multi-Use Land Conservation.